Miley takes that grin and bare it phrase VERY seriously! Thanks for the contagious smile and Happy New Year to you all. LOL! We aren't sure if you are laughing too hard or making the angry face. Either way it is really funny! Uh Oh...Who was messing with Miley? Sometimes when Charlie is messing with me too much I give him that face....also sometimes when I am playing to show him who is the boss!!! Wow - look at those teeth!!! LOL!!! 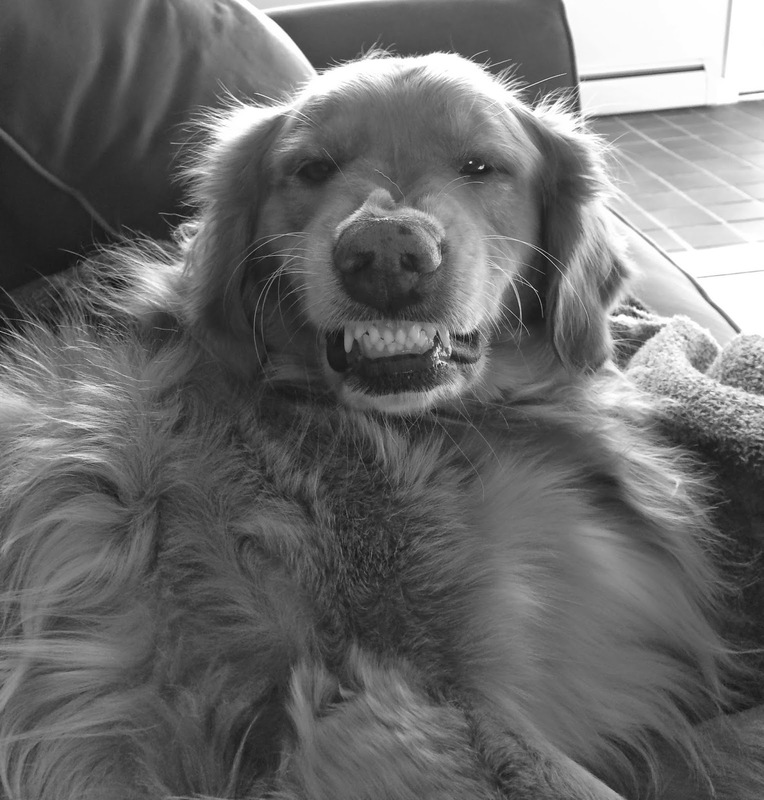 :D My family dog used to smile, too!! LOL....how did you get her to do that for the camera? Look at those pretty pearly whites!! Did someone tell you get off the sofa? Cheeeeese! =) What an awesome pic! Miley, is that a growly face or a toothy smiley one? Whoa! Did someone wake up on the wrong side of the dog bed? ha ha - too cute!